Owning a horse can be very expensive. A lot of people make the mistake of buying a horse and getting surprised with the cost not only of the purchase but as well as the cost of keeping one in the long run. This article will help you find out the cost of buying a horse and will extend to the cost of keeping one. The typical cost of a horse ranges from $1,000 to $10,000. This price includes the horse alone. Some owners, however, will include tack and equipment as well as transporting the horse. Breed. Some horses can go cheap while others can be very expensive to purchase. If you are looking for recreational riding with a horse, you can consider a Quarter horse. Its price runs from $1,000 to $5,000. On the other hand, other breeds that can be used for competitive riding or showoffs can be really expensive. For instance, a Thoroughbred can cost from $3,000 to $10,000. Age. A young horse is often more expensive to purchase. 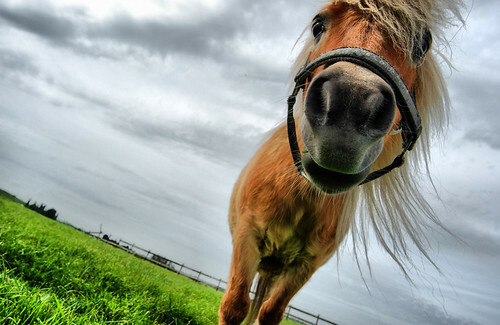 A horse that is 10 to 15 years old will generally cost less than a horse under 10 years of age. Experience and training. A trained horse can always be a more expensive choice. This is especially true for horses that have no vices, trained for racing, trained for riding or driving, and the like. These horses are usually best for first-time horse owners who have no background when it comes to training. Condition. This refers to the physical and health conditions of the horse to be purchased. The medical history and current condition can always determine how much are horses. Those who have physical limitations, health problems, or scar marks can be priced cheaper than horses that are at the peak of their health across the range. Pre-purchase exam. A pre-purchase exam is necessary to help you determine the soundness of the horse before you can make a deal of purchasing it. This involves hiring a veterinarian to examine the horse for you to find potential problems in the animal’s health. The price of a pre-purchase exam can go from $100 to $500. Transportation. If you do not own a trailer, you may need to rent a trailer to transport the horse to your location. The cost can be cheap or expensive depending on the distance of where you purchase the horse and where you intend to keep it. Getting a trailer to transport your horse can cost anywhere from 25 cents to a dollar per mile. Agent. If you are having a hard time looking for horses for sale, you can pay an agent to do the research for you in exchange for a 15 to 20 percent of the purchase price commission. Insurance. For expensive horses, insuring the horse can be a very good idea. The price of insurance depends on the type of coverage you want to get for your horse. The usual maximum price you can pay for insurance is $40 a month. Stabling fees. If you don’t own a farm, you may need to stable the horse with someone else. Professional stabling costs can run from $200 to $600 monthly depending on your location. If you choose self-stabling the horse, you have to worry about the bedding, food, and minerals. Straw bedding can cost $30 per month and can increase if you choose special horse bedding. Food is usually $30 as well every moth but can also increase if you have a small amount of grass in your farm. Salt and minerals for your horse can cost around $15 a month. Ferrier. This refers to the cost of basic care for the horse. Foot trimming can normally run from $25 to $30. This needs to be done four times a year but can also vary depending on its natural hood condition, the atmosphere, and activity levels. Shoeing your horse can also be an added expense, which usually runs about $80. Medical costs. Maintaining the health of the horse is very essential and can take a lot of expenses. Vaccinations, worming, and dental care can total to $25 a month. Illnesses may increase the medical expenses but basically, you can allot $25 every month for this. In some months, you may not need to use this allotted budget but in other months, this budget may be doubled or tripled. If your horse has good insurance coverage, you can save a lot in the medical expenses. Saddle and tack. If you need to ride the horse, you need a good saddle and tack. A new saddle will cost around $2,000 while a used one in good condition can be priced around $500. And since your horse can grow off the saddle, you may need to allot money on replacements. Repair can also add up to this cost. Training. If you want to improve the skills of your horse, training can be a major cost of keeping a horse. The cost of training depends on the quality of instruction you want for your horse. Horse lessons can start from $10 to $200 per hour. Travel expenses. If you need to travel your horse for competitions, you need to allot plenty of money to travel expenses. Health certificates and vaccines may be necessary before you can travel a horse. Plus, a good truck and trailer are always necessary. See whether you are actually ready to own a horse or not. Take note that owning a horse is not easy. There are a lot of responsibilities that you have to perform successfully all the time to ensure the best condition of your horse. Take some time to see whether or not you can do all the responsibilities with efficiency. Also, check whether you can afford the cost of actually owning and keeping a horse for several years. If not, buying a horse may never be a good idea. You can use this horse cost calculator to help you determine the overall monthly or annual cost of keeping a horse. Determine what your needs are for owning a horse. Is it for recreational purposes only? Your needs in a horse must be your guide when choosing a horse to purchase. Be guided by the age, breed, health condition, behavior, and skills of the horse before you purchase one. If you are a first-timer, you may need to ask a friend or an agent to help you in choosing the best horse for you. Do not skip the pre-purchase exam when you are buying a horse. This is essential to ensure that your purchase will be a very worthy one for your needs. Plus, this exam can help you deal with the horse properly in cases some problems are found during the exam. You can find horses for sale in classified ads in newspapers, horse magazines and Internet, horse dealers, and riding stables. However, always keep in mind to stay away from bad dealers. The best horses and the best deals can always be found from reliable and credible dealers that will help you from the selection process until the deal is closed. Visit the horse you are eyeing at least twice before purchasing it. During the first visit, observe how the horse behaves and see whether it behaves the way the owner claimed the horse to be or not. Ask the owner to ride the horse and if the owner will be a child, let a child ride the horse and see how it responds. During the second visit, it always is good to have someone experienced or a professional to be with you. Try riding the horse yourself and if you love the horse and its current condition, you can close the deal. Other owners will allow you to try their horse for a week or two to help you come up with a a decision.